Costa Rica’s two seasons are the dry “summer” (verano) – January through April and rainy “winter” (invierno) – May through December. These correspond to the tourism high season and low season. The term “peak season” is often used to describe the two weeks from just before Christmas until after the New Year when special higher pricing is in effect for the holidays. The descriptions dry and rainy apply most accurately to the beach destinations of Guanacaste and Nicoya in the northwest corner of Costa Rica. 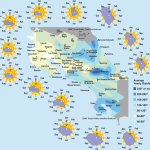 The rest of the Pacific side and much of the central mountains follow a similar pattern although with more precipitation in general. The Caribbean (east) half of the country doesn’t show strong seasonal variation and tends to be rainier year round. It breaks the rules in September and October when the rest of the country is experiencing the heaviest rain and the Caribbean beaches are warm, dry and sunny. You may have noticed that like the southern hemisphere the names of Costa Rica’s seasons are reversed relative to the U.S.and Canada. 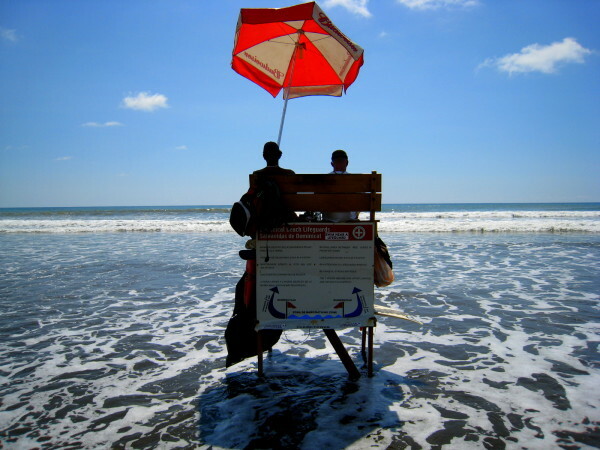 While the north is blanketed in snow December through April Costa Rica is enjoying summer. This can be confusing when you pause to realize that Costa Rica is not in the southern hemisphere, it’s in the northern. Unless you’re working on a degree in atmospheric science, it’s better to just accept this quirk and enjoy it rather than trying to explain it. The rainy/wet/winter months are known as the “Green Season” for tourism marketing purposes. It sounds way better than rainy. The main attraction of the high season is the weather. It is less likely that it will rain even in the rainforest, and in some areas, notably Guanacaste and Nicoya it’s downright arid. Wildlife can be easier to spot as it concentrates around shrinking water sources and the deciduous trees drop their leaves thinning the camouflage. Obviously, another motivation for Northern American and European travelers is escaping the snow, cold weather and dark at home. Warm tropical beaches have much more appeal when you’re knee deep in slush, and travelers from the north will also be rewarded with an extra few hours of sunshine every day. In addition to tourists, Arctic storms drive ocean swells southward and the surf is bigger and more reliable in the high season. The main disadvantage of traveling to Costa Rica while it’s snowing up north is that it is the tourist high season. It is harder to get reservations, everything is relatively crowded and the prices are higher. From Christmas until the end of the first week in January, and Easter week are double jeopardy periods with lots of international travelers, and many Ticos traveling (the beaches are especially crowded). Even the crowds have their up side though. Everything is open and running extended hours. Bars and nightclubs are much more fun and there is an audience for live music and other performances. Don’t forget they call it summer even though it’s Christmas time. The low season, or winter in Costa Rica has been dubbed the “Green Season” by the tourism industry because that makes a better first impression than “rainy”. Veteran Costa Rica travelers know that this time of year doesn’t need a special moniker to make it appealing; prices are halved, crowds are gone, and while the rain forested slopes of the mountains may be getting drenched, perfect sunny days at the beach aren’t at all unusual. The little blue and yellow map image links to an interactive weather map that shows the total annual precip and the monthly average rainfall for each region in Costa Rica. 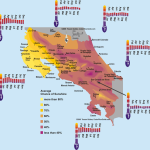 The red and orange image links to a map that shows the average hours of sunshine and high and low temperatures by month and region. Our first rainy season traveling in Costa Rica we expected the worst, but were pleasantly surprised. Over half the days it didn’t rain at all and the rest of the time it was a couple of hours in the afternoon bracketed by brilliant sunshine. In more than three months there were only two stretches of three days when it rained most of the time. During these drizzly days, it was clear and sunny on the opposite side of the country, so we could have avoided the rain had we thought it was a real annoyance. If you are thinking about a trip to Costa Rica during the green season, don’t let the weather stop you. 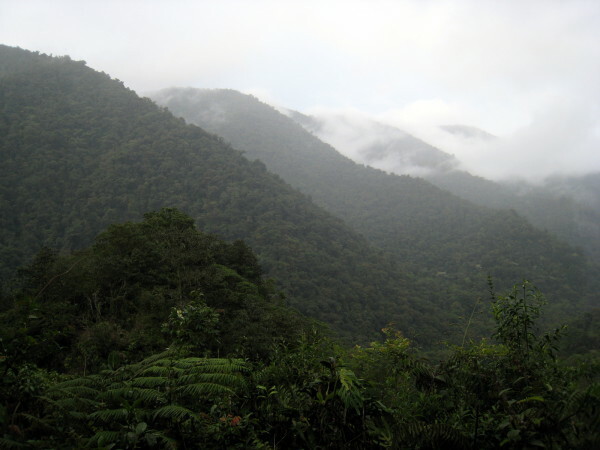 Many Costa Rica regulars prefer the green season, but there are some disadvantages as well. There are some areas where it is really wet, particularly the Atlantic slopes, and the northeast and southwest. The Osa Peninsula gets so much rain that travel becomes difficult and many of the lodges shut down in September and October. It also seems a little dark sometimes. Those long summer nights are a polar phenomenon and this close to the equator the days are only a few minutes longer. The sun sets about 6:00 p.m. year round.